YOKOHAMA, Japan, Dec 10, 2018 - (JCN Newswire) - Mitsubishi Hitachi Power Systems, Ltd. (MHPS) has received trainees from Vietnam's state-owned power utility Vietnam Electricity (EVN). 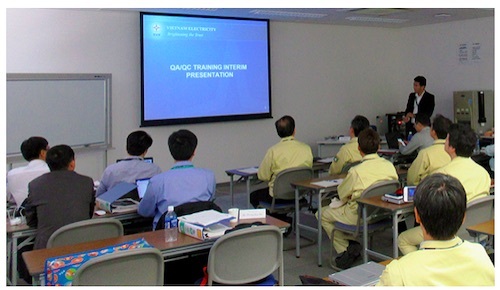 A total of seven trainees received practical training in MHPS' Quality Management System (QMS) and other operations at the Takasago Works in Hyogo Prefecture from October 15 to November 6, 2018. Vietnam is planning to expand its thermal power generating capacity, and this program will help support the country's development by training the necessary personnel. With demand for electricity in Vietnam increasing, this training program was developed based on the EVN's desire to enhance its comprehensive QMS in power plant development overall, including new plant investment plans, construction, and operations and maintenance (O&M). The trainees studied MHPS' QMS in depth in order to gain technical expertise. Under Vietnam's Revised Power Development Master Plan VII (PDP 7) announced by the government in 2016, the country plans to build new thermal power plants with a combined generating capacity of approximately 55,000 MW between 2016 and 2030. 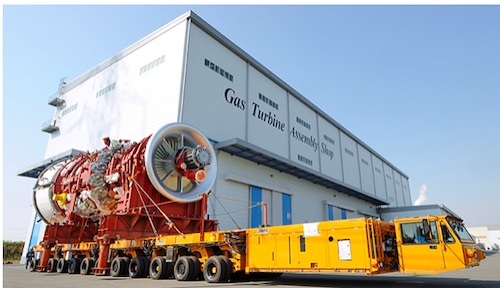 Further, with the current increase in environmental awareness, there is a growing need for facilities that contribute to curbing CO2 emissions, such as high-efficiency coal-fired power plants, and gas turbine combined cycle (GTCC) installations. At the same time, demand is increasing for flue-gas desulfurization and other air quality control systems (AQCS) for installation primarily in existing coal-fired power plants. Going forward, MHPS will respond with thorough precision to the robust demand for power generation in Vietnam, and by focusing on close cooperation with EVN and other companies, including supporting the development of personnel needed for planning, construction, operation and maintenance of thermal power plants through trainee programs such as this, contribute to the stabilization of the country's power supply.